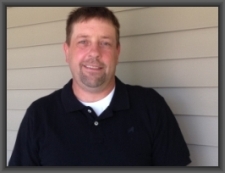 We are available to answer all of your metal roofing needs. We are certified metal roofing contractors ready to complete your new roof using top of the line equipment and supplies. We are happy to offer Standing Seam Hidden Fastener roofing systems. We offer a 20″ wide panel with up to 3 in panel ribs. Systems can be done with galvanized steel or aluminum. A wide variety of colors are available. Our panels and components are formed on your site for your project. 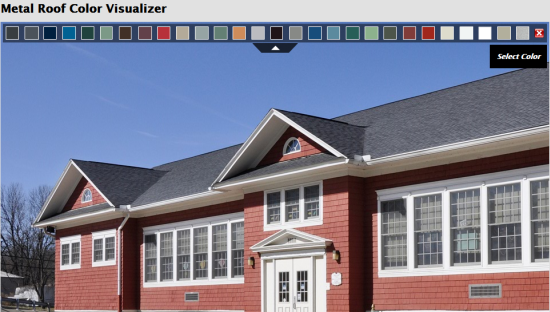 Click the image below to see our metal roof color visualizer tool. 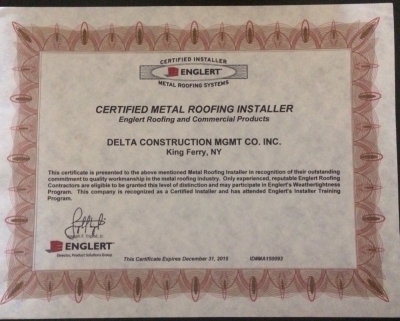 We Are a Certified Metal Roofing Installer.